A little while ago, I had blogged about my two power colors: Black and Gold. I explained how I love wearing these colors and in a way feel “energized” while wearing them…but lately, I have been thinking that it would be fun to try incorporating these colors into my makeup routine! Like any other girl out there, I am a nail polish hoarder…two Caboodle cases worth! 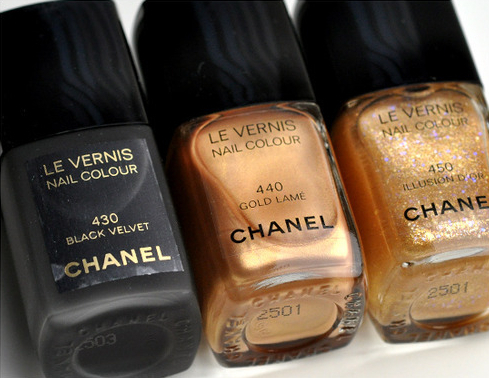 So I was thinking that it would be a fun idea to try out some black and gold nail polish combinations. Or this would even be a fun combination for eyeliner for a night out on the town! I am feeling the need to hit up the Makeup Forever counter at Sephora now…so pretty! I will make sure to keep you all posted on what I end up trying out! Cheers to your power color! 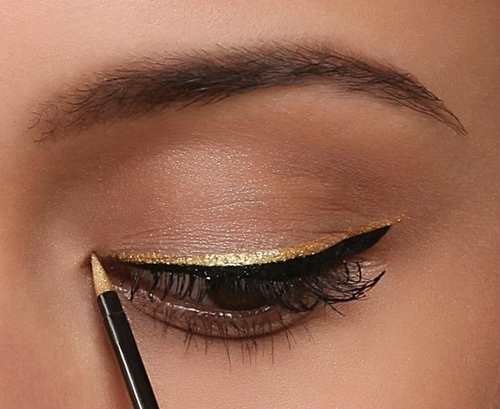 You should definitely check out Milani Liquif’eye Eyeliner in Gold. Next Next post: Minnie Mouse in Haute Couture!! !